At Forrest Road Medical Centre we are passionate about providing the Padbury community with the very best in state-of-the-art diagnostic and medical services. Our office is family-friendly; we treat everyone from babies and mums-to-be to athletes and those in their golden years. We pride ourselves on providing our patients with a staff of doctors that are second to none; men and women who are not only highly trained, but who have years of experience in helping those they serve enjoy a better quality of life. 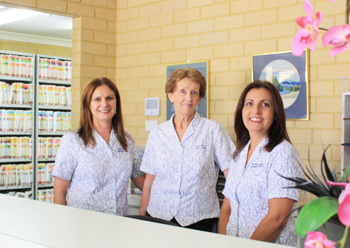 When you visit our practice you will be greeted by our fantastic administrative staff – Patricia, Regina and Marie.